The Oase Filtral foam set contains all you need to replace the filter media in a Filtral 5000, 6000 or 9000 pond filter/pump. 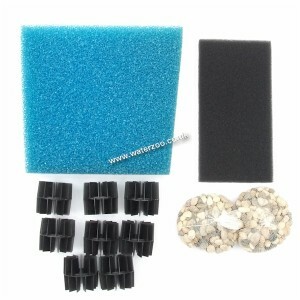 Including large coarse blue foam, fine black foam, 2 net bags with gravel and biological filter rings. The Oase Filtral Foam Set is currently only available for collection and payment in store.